When the Seasons of Spring and Summer finally arrive the magnificence of Mother Natures brushstrokes of color appear, it is most noticeable in the flora which blossoms and surrounds us enhancing the lives they touch. 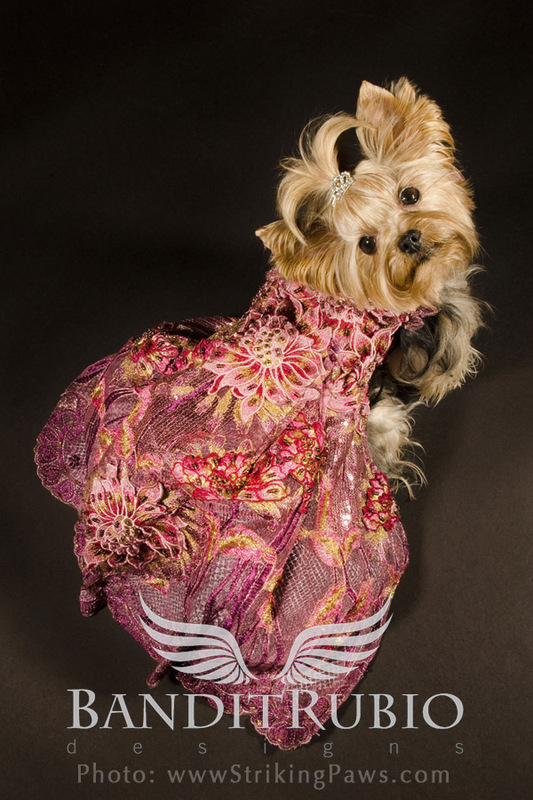 Ladies and gentlemen I introduce to you “Flora” a Couture Creation by Pet Couturier Anthony Rubio for Bandit Rubio Designs. Photo by Sophie Gamand of Striking Paws Photography. Dog Model: Millie LaRue (Darsey).